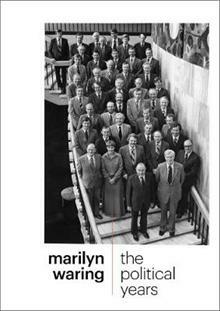 This is an autobiographical account of Marilyn Waring's extraordinary years in parliament. She tells the story of her journey from being elected as a new National Party MP in a conservative rural seat to being publicly decried by the Prime Minister for her `feminist anti-nuclear ... read full description below. When I entered Parliament in 1975, I joined a very small club: although women in New Zealand won the right to vote in 1893, only a tiny handful had been Members of Parliament in the hundred or so years that followed. I was number 15! In 1975, Marilyn Waring was elected to the New Zealand Parliament as the MP for Raglan. Aged just 23, she was one of only a few female MPs who served through the turbulent years of Muldoon's government. For nine years, Waring was at the centre of major political decisions, until her parliamentary career culminated during the debate over nuclear arms. When Waring informed Muldoon that she intended to cross the fl oor and vote for the opposition bill which would make New Zealand nuclear free, he called a snap election. And the government fell. . . This is an autobiographical account of Waring's extraordinary years in parliament. She tells the story of her journey from being elected as a new National Party MP in a conservative rural seat to being publicly decried by the Prime Minister for her `feminist anti-nuclear stance' that threatened to bring down his government. Her tale of life in a male-dominated and relentlessly demanding political world is both uniquely of its time and still of pressing relevance today. Marilyn Waring is a Professor of Public Policy at Auckland University of Technology. In the years since she retired from Parliament in 1984, she has written Women, Politics and Power, Counting for Nothing, In the Lifetime of a Goat, Who Cares? The Economics of Dignity, Anticipatory Social Protection and Still Counting. As well as being translated into French, Norwegian, Japanese and Spanish, Counting for Nothing was the subject of an award-winning documentary. Waring has held fellowships at prestigious overseas universities, including Harvard, worked as a development consultant throughout Asia and the Pacific, and served on the Board of the Reserve Bank of New Zealand and the Council of Creative New Zealand. In 2008 she was awarded a CNZM for services to women and economics.